Can you feel the LOVE in the air yet??? I can! 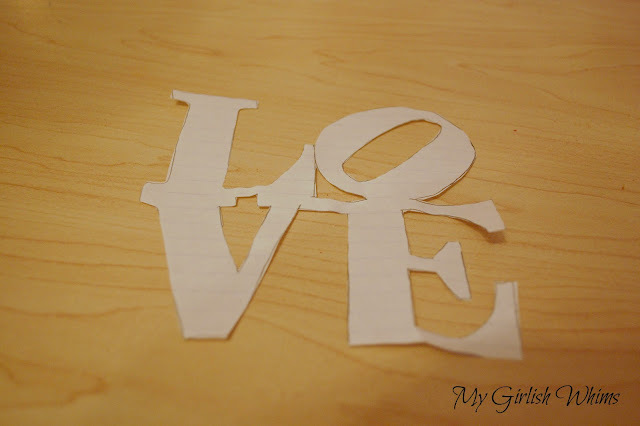 Valentines Day is right around the corner and so is hubby and my 1 year anniversary. So I've really been looooving crafting it up!! 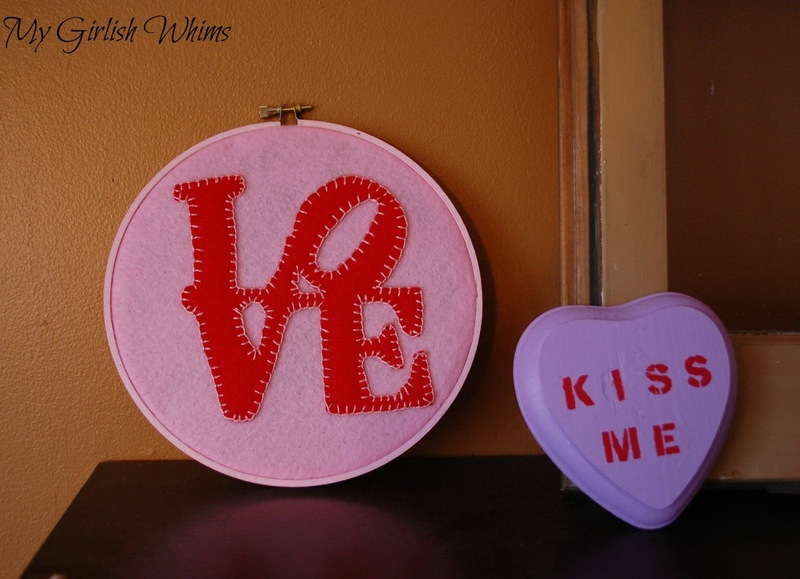 This hoop art was a fun project that is cheap to make and can be completed while sitting in front of the TV with your lover at night. Crafting and bonding time? Win win. I started by tracing out the "LOVE" sign from Philadelphia by find an image on the web on my computer and tracing it. I realized after the fact I probably could have just done this on my silhouette...but it was easy enough to do by hand for any of you who don't have a silhouette! I then traced this image onto some felt and cut it out. This felt I bought by-the-yard so it is a little more firm than the felt you buy by-the-sheet, which is good since you will be poking it a lot with a little needle! Then all I did is embroidered it onto another piece of felt (this pink one I did buy by-the-square, and it held up alright. In the future I would use thicker felt.) 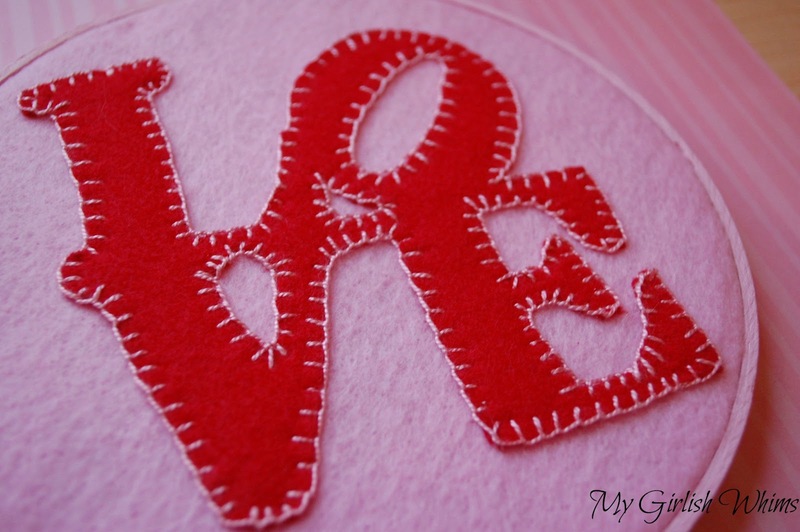 I used a blanket stitch to attach the letters (Little Lovelies has a great tutorial for this! When you are done stitching pull the felt taunt and tighten the hoop, trim off the excess felt and then just hot glue the ends to the hoop in the back.Voila. 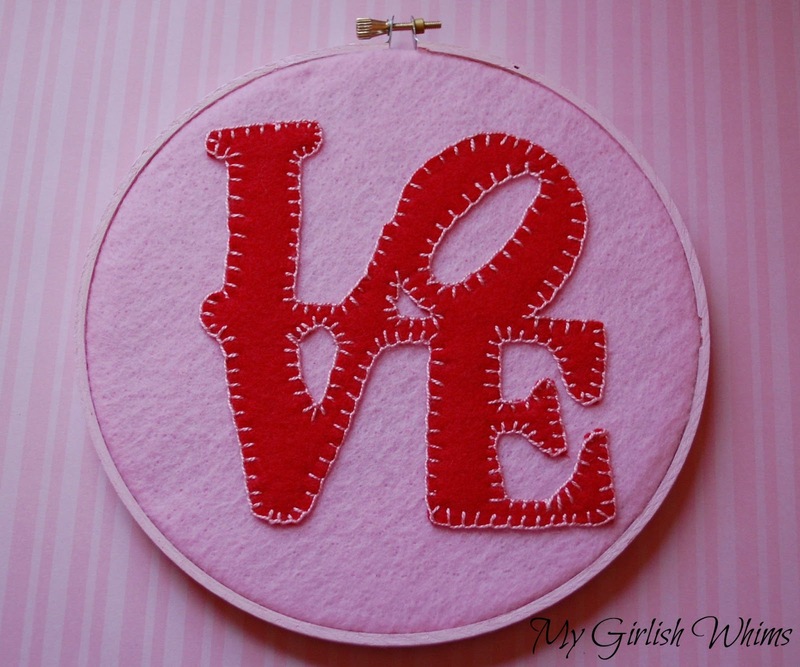 Such a pretty little Valentines Day Hoop Art!!! 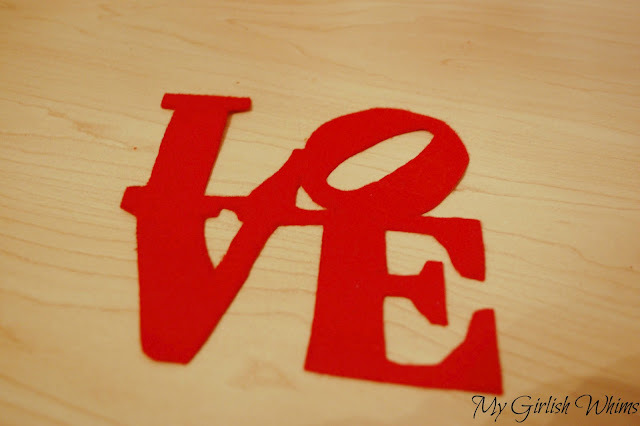 Here is it up on my faux mantel...sneek peek! I'll show you the whole shelf later this week! This inspirational book will encourage Christian women and moms with humor and grace. Free digital copy ONE DAY ONLY on 2/14/2013. Buy the paperback or Kindle version today. Super cute!! I love this idea! Plus, I know how to do that stitch! So fun!! Love this:) turned out so cute. Super cute! I've been itching to do some hand embroidery. 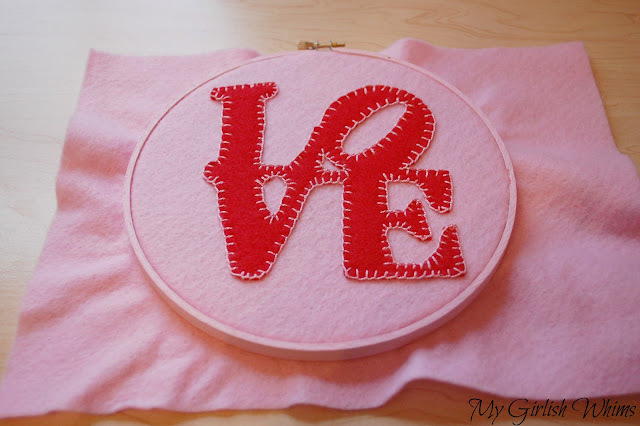 I love the idea of merging embroidery with applique. Never tried that. This is wonderful! I love the blanket stitch around the edge and the hoop and felt. Adorable! I simply LOVE this! Now I have to go to the store for an embroidery hoop! I really should keep those on hand at home! oh my goodness. This is too cute! I'm pinning it! This is so cute!! thanks for sharing at Monday Funday! 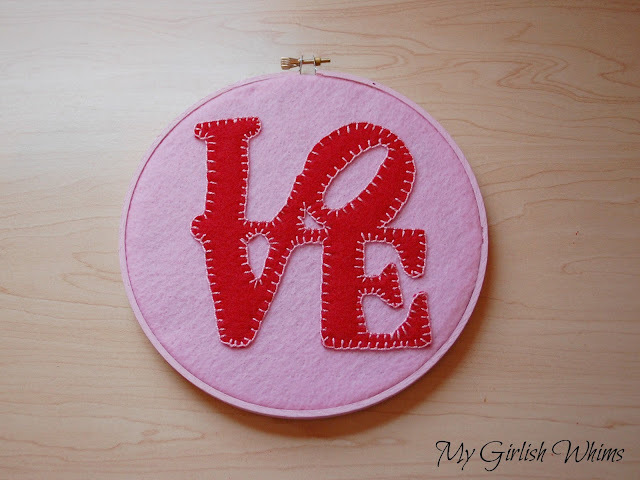 Amazing display of machine embroidery work with contrasting eye catching color for the valentine gift it is really tremendous embroidery artwork.